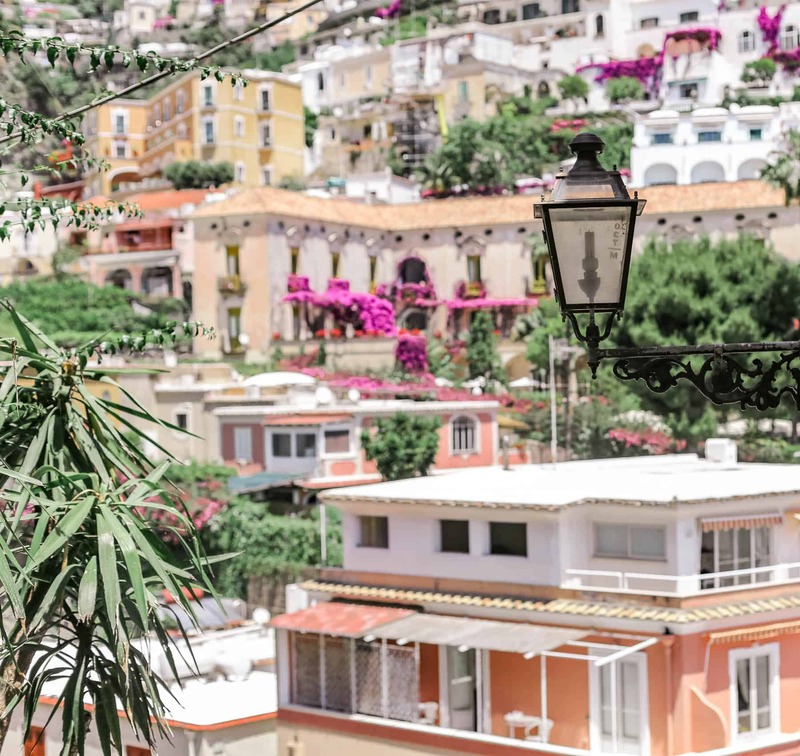 Positano is a magical place with cute alleyways and winding stairs everywhere you turn. 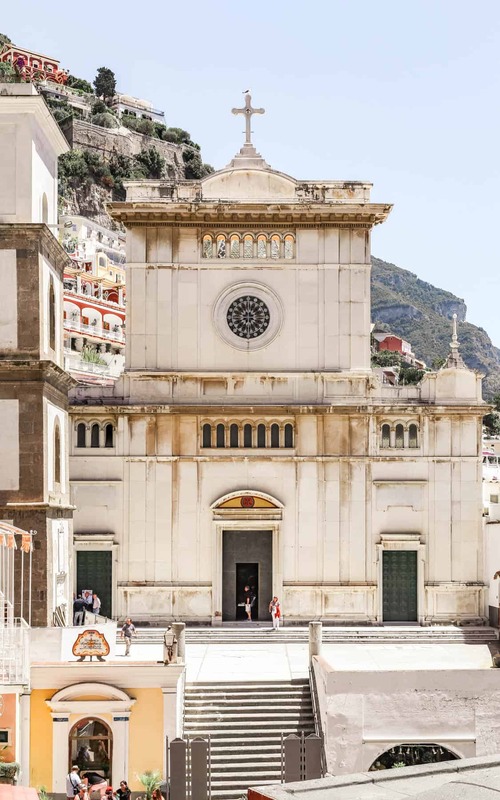 And it possesses a certain charm that few places do but like all wonderful destinations, Positano is crowded, especially if you go during the summer months. 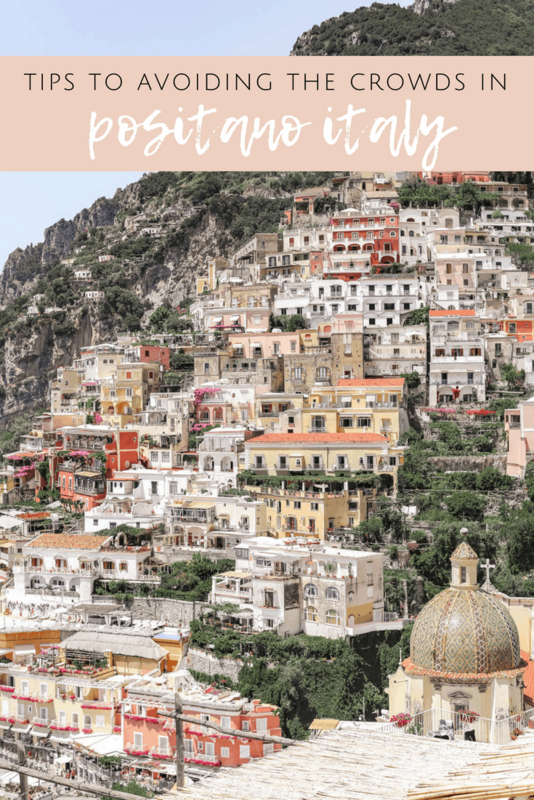 If you’re planning on spending a week here or if Positano is part of your epic Europe itinerary, there are things you can do to help minimize the overwhelming crowds in this magical city. 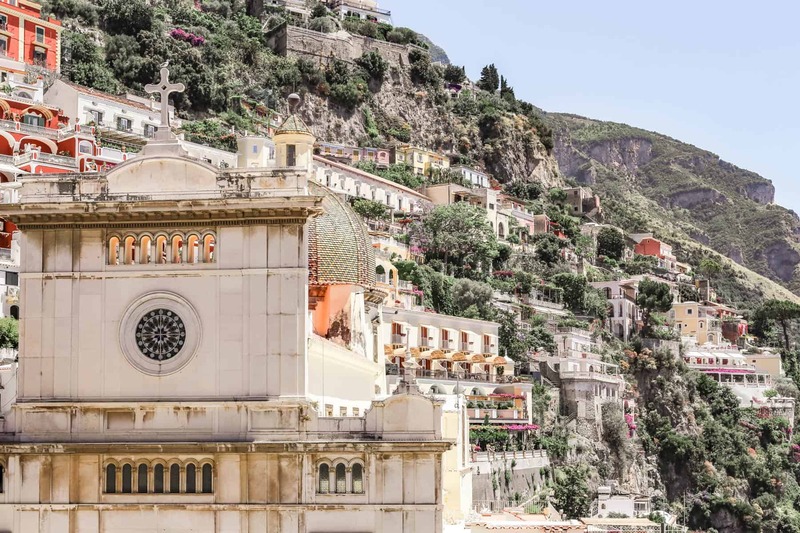 If you prefer to stay in quieter places, opt for one of the towns above Positano. 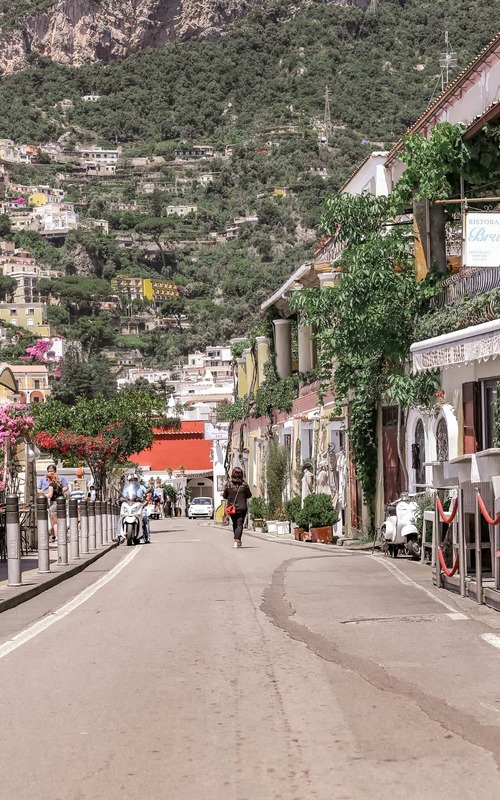 Towns like Nocelle have all the charm and none of the crazy tourism that Positano has. 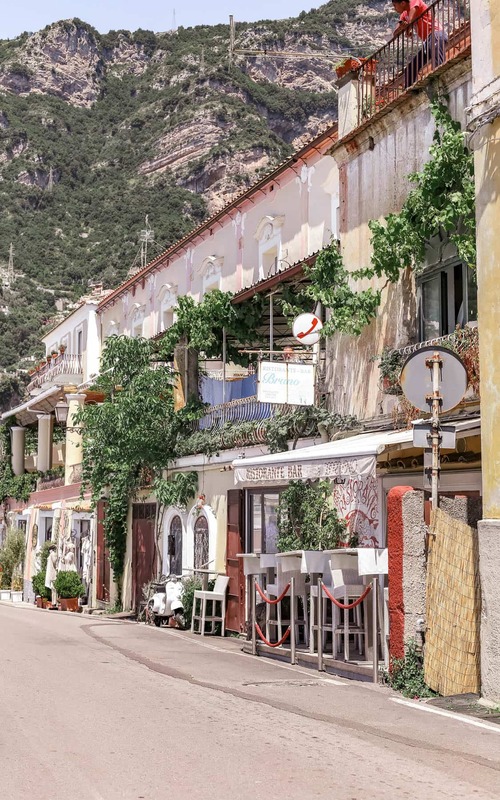 Nocelle is about a 25 minute bus ride to Positano – very convenient – and is a super quaint village that sits on the edge of the Amalfi Coast and overlooks the beautiful Mediterranean. 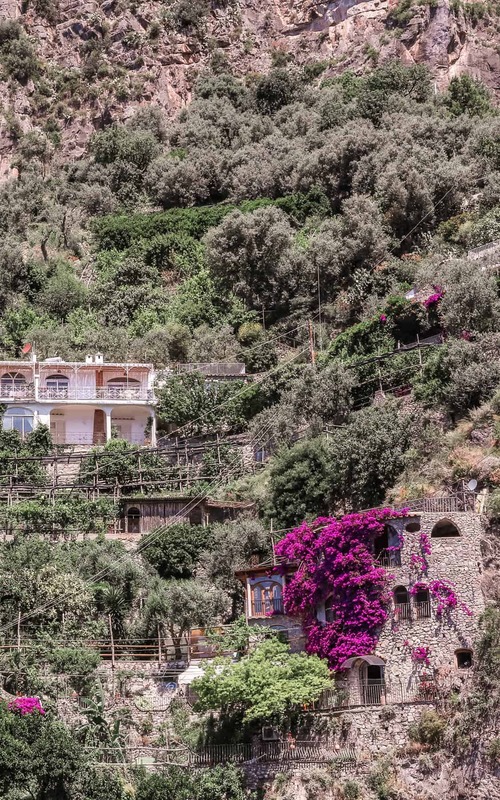 Once the bus drops you off, you climb a few sets of stairs to the top where the idyllic town sits. 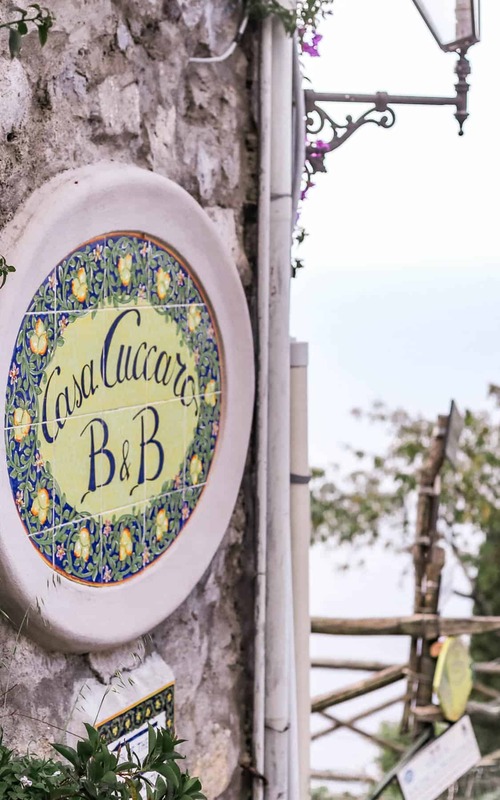 If you choose Nocelle as your residence, I would highly recommend Casa Cuccaro, a beautiful bed and breakfast with everything you could ever hope for. 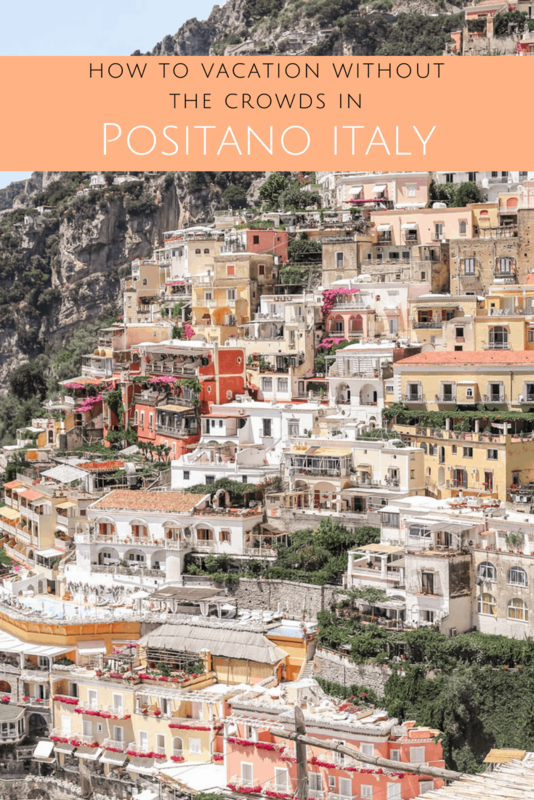 The breakfast was our favorite and consisted of a feast of coffee, fruit, and pastries that we fully enjoyed every morning before heading out to explore Positano and the rest of the Amalfi Coast. 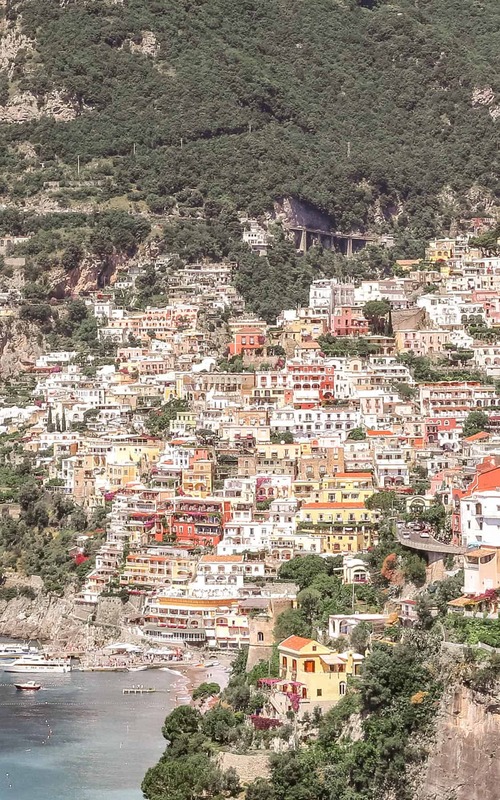 Unfortunately, the bus system of the Amalfi Coast is crazy. There are A LOT of people who use it because that’s the easiest way to get around so if you miss your bus, you will have to wait quite a while to catch the second. 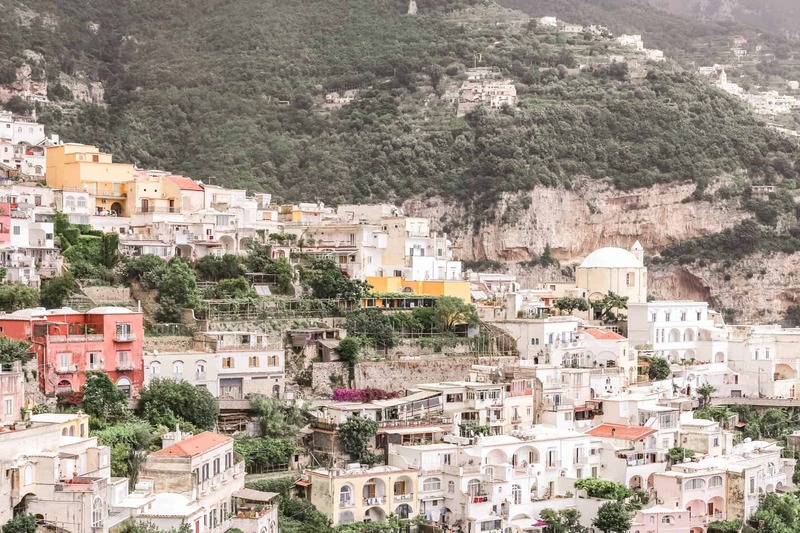 We waited about 2-3 hours in Praiano to catch a bus to Ravello because the buses were all packed and none of them would stop to add more passengers. Be sure to pay attention to the bus timetables and arrive early if you plan on actually following a schedule. And even then, you may wait some more. 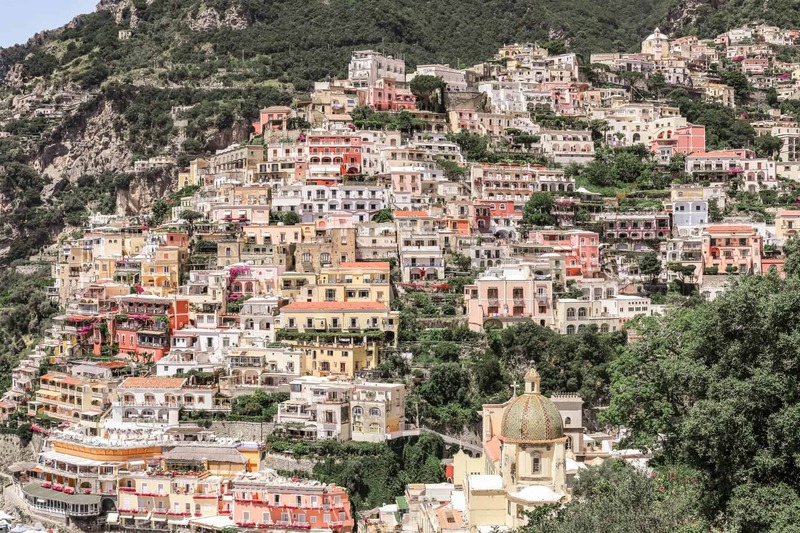 If you’re claustrophobic, you may want to pay a taxi for transport but be warned, taxis are expensive in the Amalfi Coast. 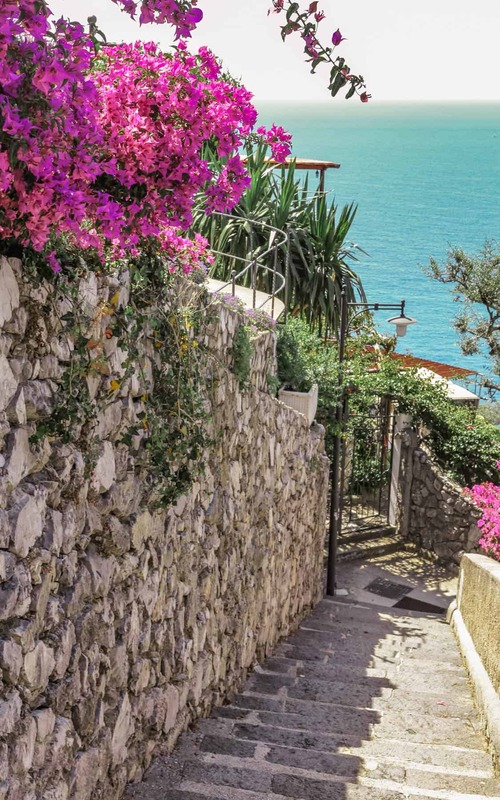 If you’re adventurous, you want a bit of a work out, and you happen to be staying in Nocelle, take the stairs (2000-ish) down from Nocelle to Positano. It’s a great way to get some exercise in and see sights you normally wouldn’t if you just stuck to the road. You’ll pass a few people along the way but for the most part, the crowds opt for the bus. If you decide to take the stairs up, plan to sweat buckets. This is something the Stair Master at the gym will never prepare you for. Our bed & breakfast owners suggested a few less touristy restaurants to eat at and each one was a hit with the family. Our two favorites were Ristorante da Costantino and Santa Croce. 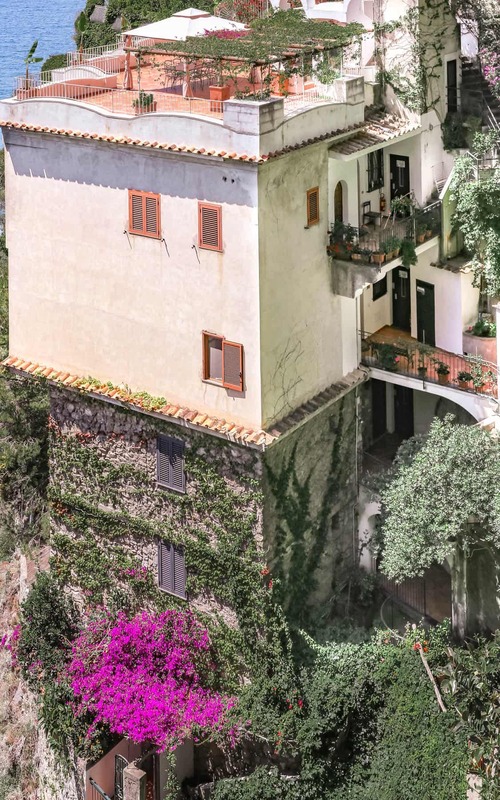 Da Costantino is located closer to Positano and sits on the edge of the Mediterranean and provides Casa Cuccaro guests with free pickup and drop off service. We enjoyed delicious pizza and fish from their kitchen. Santa Croce is a small restaurant about a 5 minute walk from Casa Cuccaro – it featured some of the best homemade pasta we ate on our trip. However, there are plenty more restaurants to choose from because Italy is FULL of good food. These are just two that we happened to try so if you’re looking for less touristy spots, ask locals for recommendations. 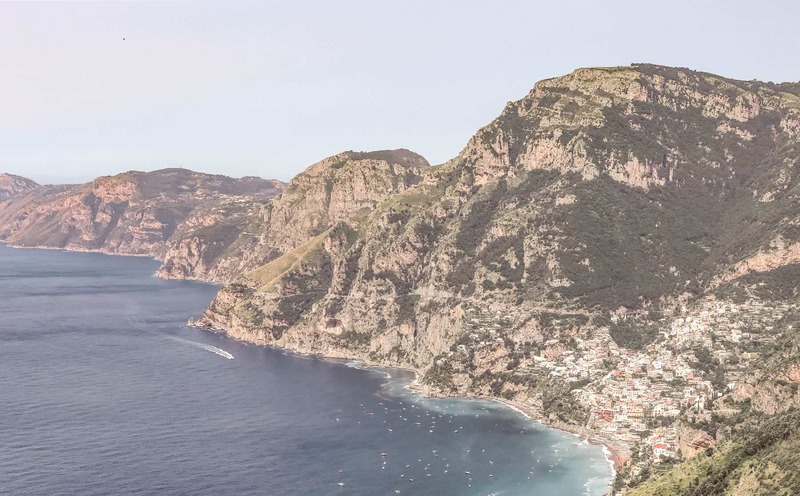 Path of the Gods gets you away from the crowds and into nature to enjoy views of the Amalfi Coast. 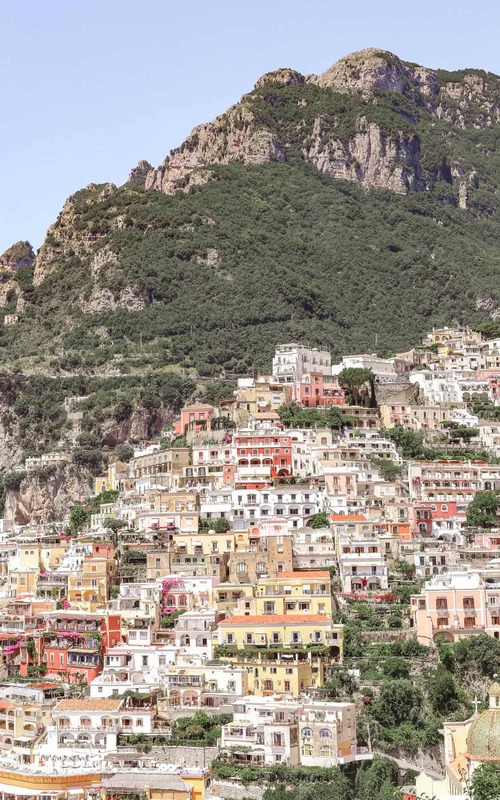 Though not exactly a Positano experience, you do get breathtaking views of Positano in the distance throughout the hike. This hike is a must do for anyone that loves outdoor activity. It’s a long hike but worth every step. 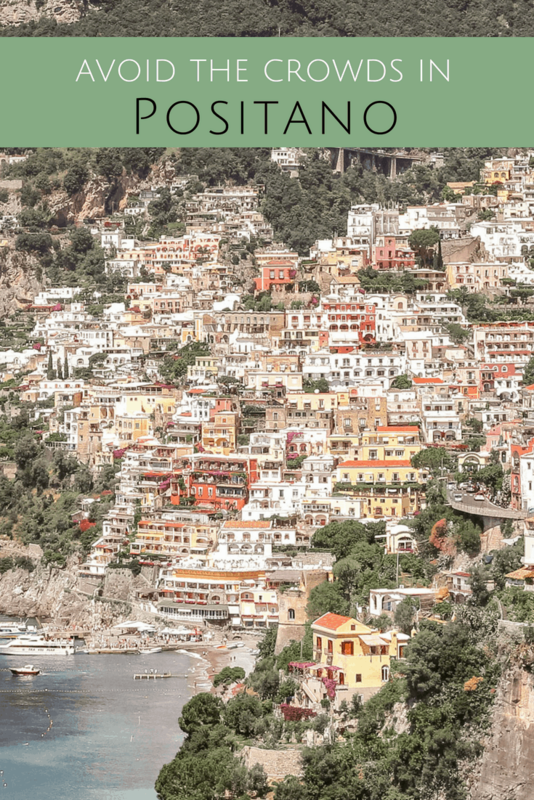 We hiked it from Nocelle to Praiano which I would suggest and took the bus from Praiano to Ravello. If you take it in reverse, prepare yourself for an uphill battle and some sections of climbing. It’s not an easy hike but it’s not terribly strenuous either. It goes without saying that you need to hike this in appropriate footwear since there are many loose stones and steps throughout the hike. We have trouble getting up in the morning so I’m sure you can already guess that we did NOT go down to Positano very early in the morning. However, we did notice a marked difference in the number of people from early-ish morning (around 9/10 am) to noon. The crowds seemed to double in size. 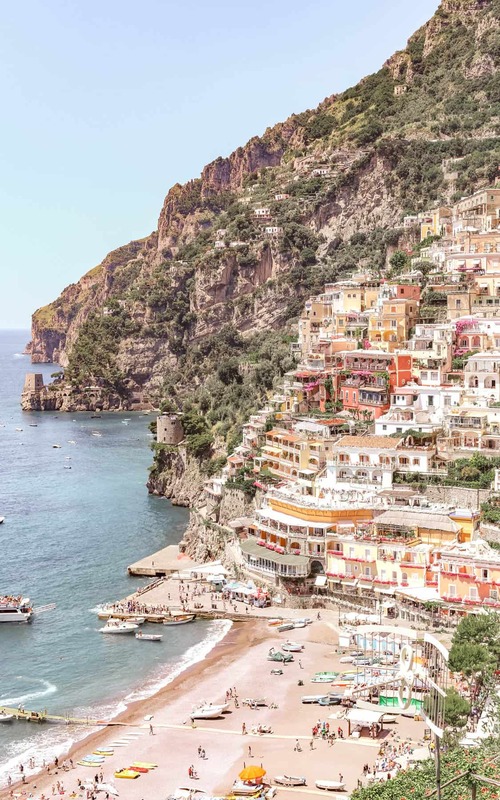 Make sure you go early if you want to enjoy capturing Positano in its quieter charm. 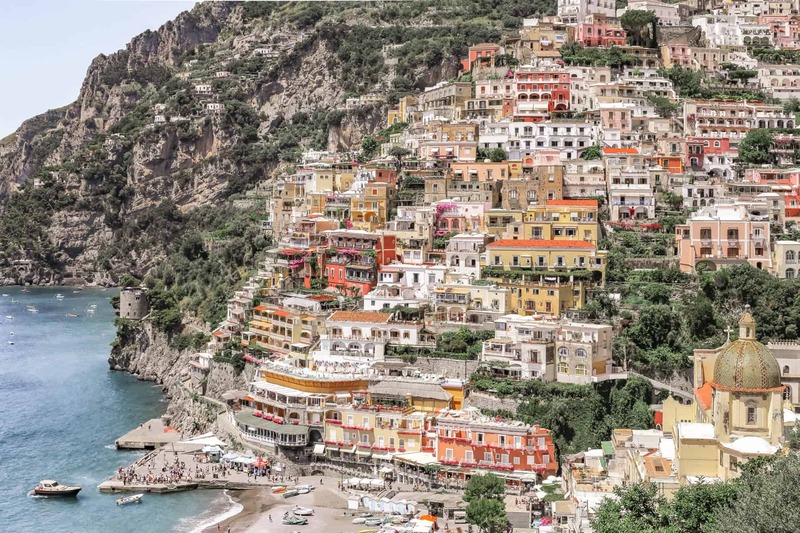 I must visit Positano!! I have to say, though, stairs are for “down” and elevators are for “up”… I think it would take me weeks to climb 2000 steps! 🙂 You have so many great tips, I’m going to pin this so I can reread when I book a trip! NACELLE looks so quaint! I love staying in the smaller towns. We did this throughout Northern Italy when traveling there a few years ago. And That hike of the gods looks like a must do! Thanks for sharing! I love this post and it’s perfect since I’m starting to plan my trip!!! I can’t wait to visit already! 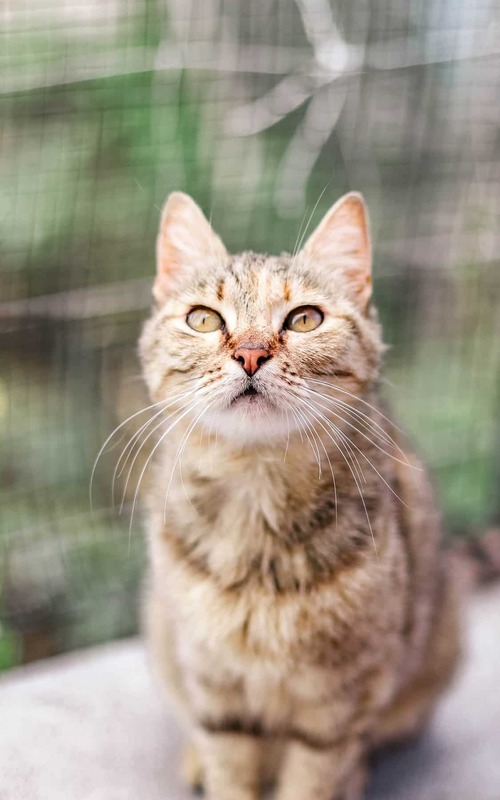 I may look into Nocelle! 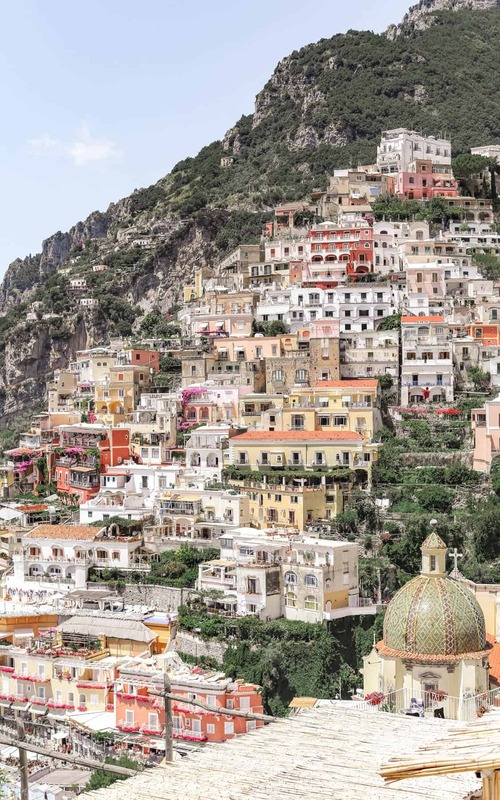 I actually cannot believe the beauty of Positano! How can a place be so picturesque?! 😍 Great tips! 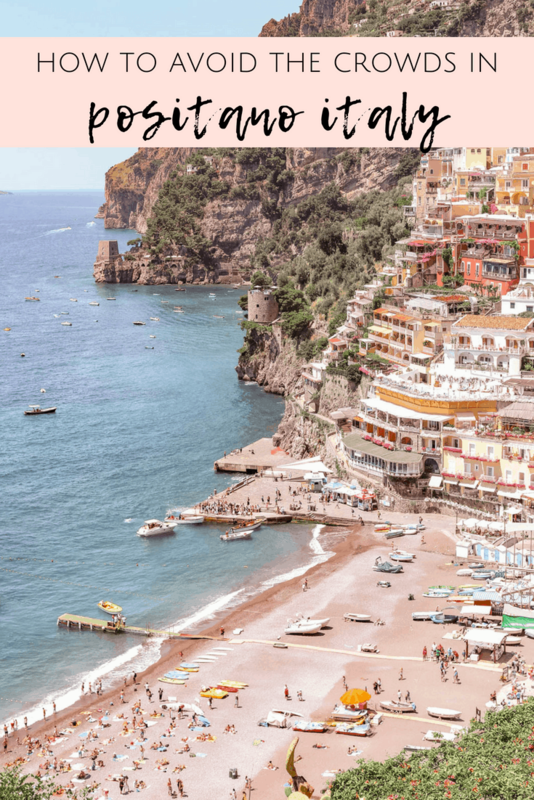 After visiting Cinque Terre during a busy time, I think I would definitely want to use these strategies in Positano to avoid the crowds. It’s such a beautiful place! 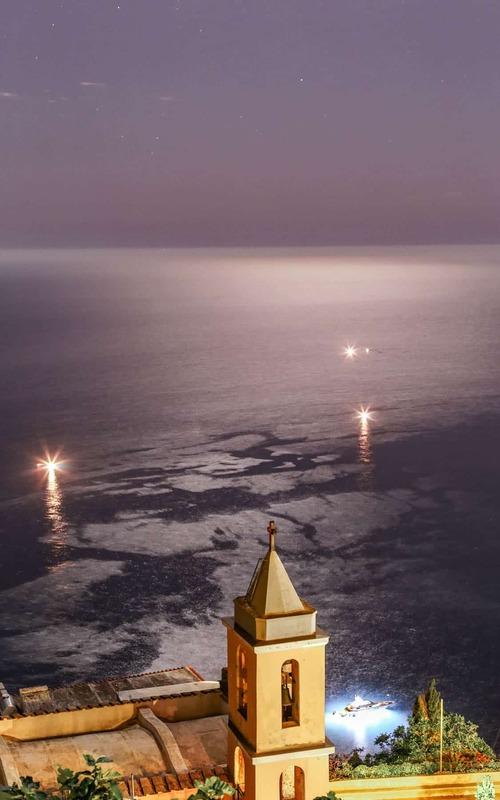 I’d like to travel there with my mom. This place is absolutely stunning and love your hair (curly girl here). Such a great tips!